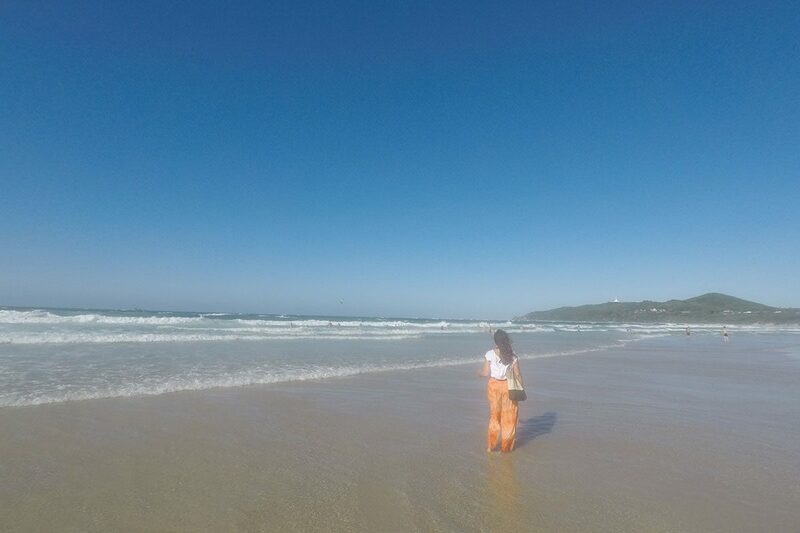 It’s been 2 years since I first started living in Byron Bay, and I still think about it like, all the time. Who’s busking down on main beach… who lives in my camping spot now… if there’s one thing in life I’m sure about, it’s that this place will forever have the most lasting impact on me. If this is your first Byron Bay post that you’ve read of mine (there’s a few, I’m a tad obsessed) then allow me to introduce myself. 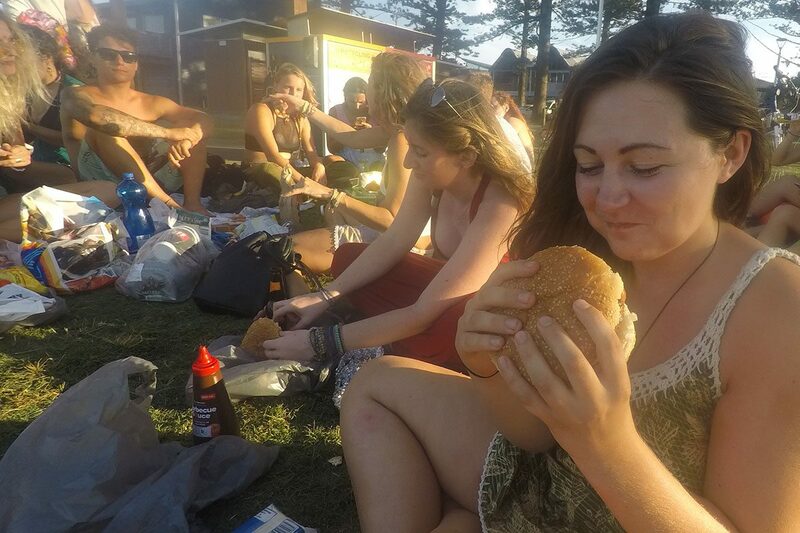 My name’s Claire and I lived in a tent in Byron Bay for five months – which were the best five months of my life (closely followed by driving around the whole of Australia in the subsequent 10 months). 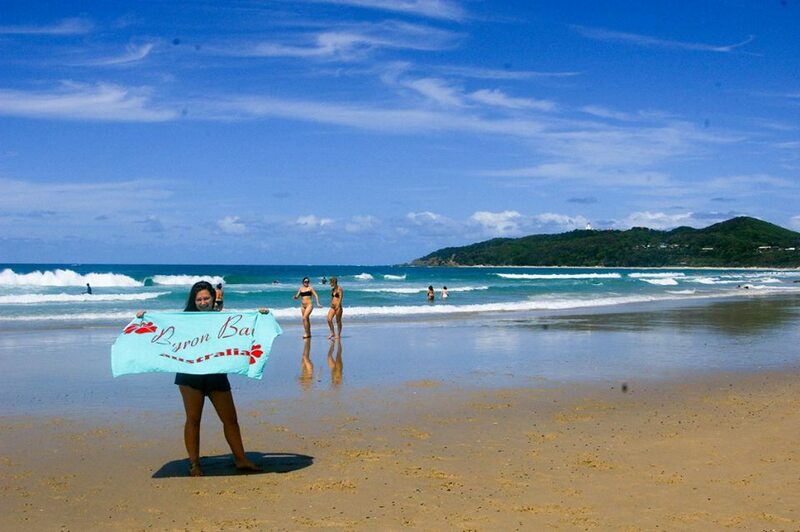 I get lots of questions from people about living in Byron Bay. People hear about this paradise full of happy souls, good vibes, beautiful beaches and amazing music and want a to be a part of it. I don’t blame them. But many people do their research about life in Byron Bay and are put off by people claiming it’s expensive, it’s hard to get jobs and it’s tiny. Yes, Byron Bay is small. It’s pretty much Johnson Street which is where most of the restaurants, shops, cafes and bars are, a few roads off Johnson Street and a street leading to where the Arts Factory Hostel – in my opinion, the best hostel in Byron Bay – is located. 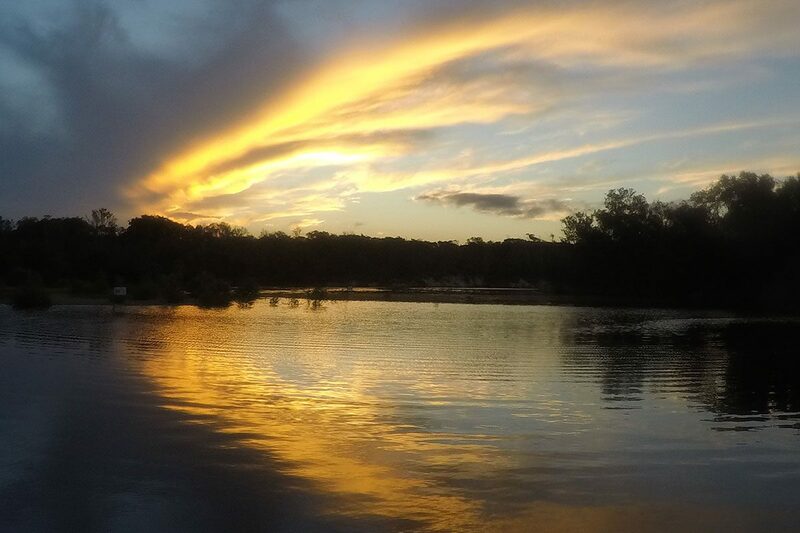 It does, however, have an impressive amount of beaches for a town of its small size, as well as bushland. There’s not much hiking in Byron Bay, but you can walk to the lighthouse (takes about 30 minutes from the town centre) and to Tallows Beach and go to the beautiful tree sanctuary – which is my favourite spot in Byron Bay to be within nature. I was living in Byron Bay for five months, and I left the town less than ten times. If I’m in Bromley for five days I try and leave more than ten times. 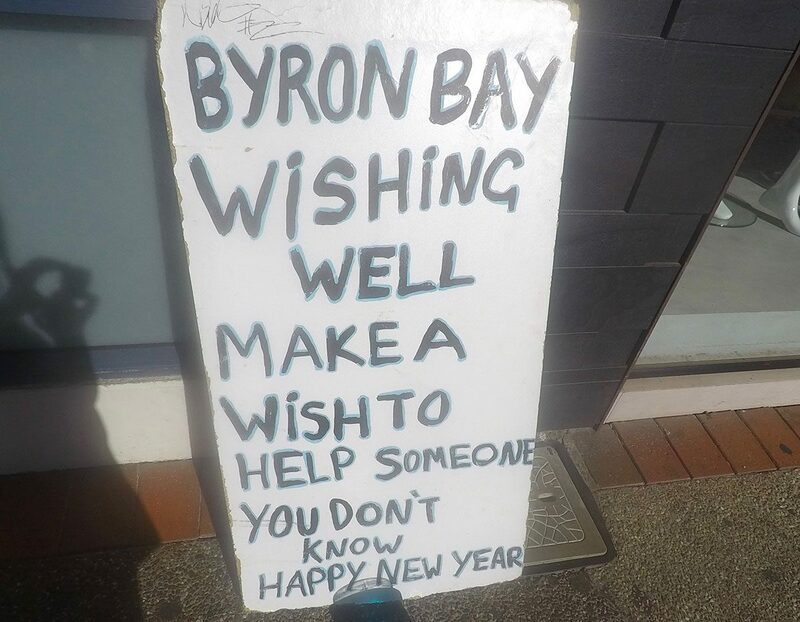 Honestly, when you live in Byron Bay, you’ll be in a bit of a bubble. There’s everything you want there – beaches, a jungle, great people, good food, plenty of spots for a beer and shops selling everything from prayer flags to tye dye rainbow tops. What more could you want in life? The Byron bubble is very real. 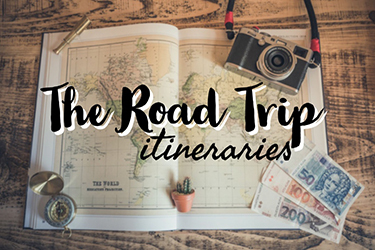 But, even though it’s a great place to be stuck, I would recommend leaving the town sometimes – to check out these great day trips from Byron Bay to see what is in the area. I’m not remotely quiet about this. Living in a tent was one of the best things I’ve ever done in my life. Being outside most of the time cured me of anxiety, insomnia and IBS, it made me into such a contagiously happy person and it gave me a deep appreciation for nature. I get so much curiosity about the fact that I lived in a tent for so long, and I welcome it – every question helps me remember the happiest time of my life even more vividly. If you’re after unique, cheap(er) accommodation in Australia, living in a tent in Byron Bay is the answer. 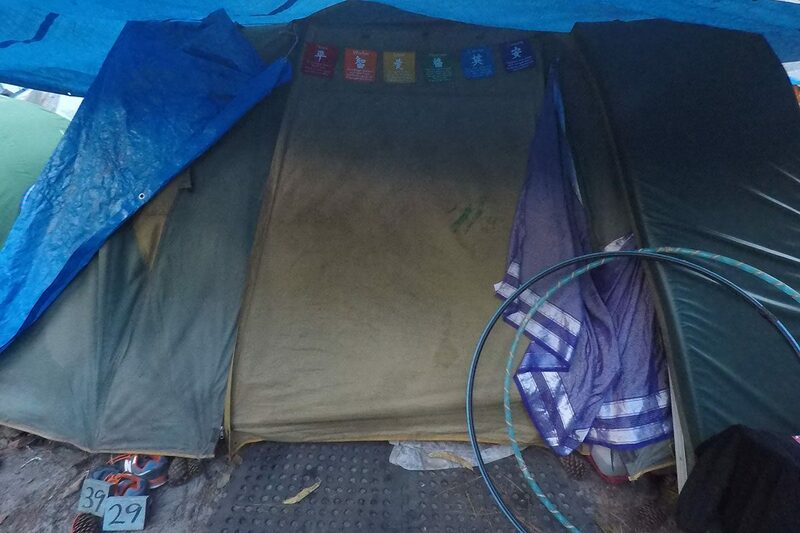 Part of the reason why people live in tents in Byron Bay is because it’s damn near impossible to rent a room. 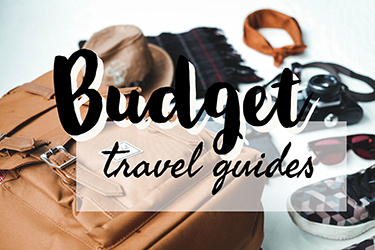 There’s about a trillion backpackers calling the place home for a few months, and only so many rooms – which hikes up prices and bond fees considerably. There is also the option to live long-term in a hostel – but come on, you can do that anywhere ;). 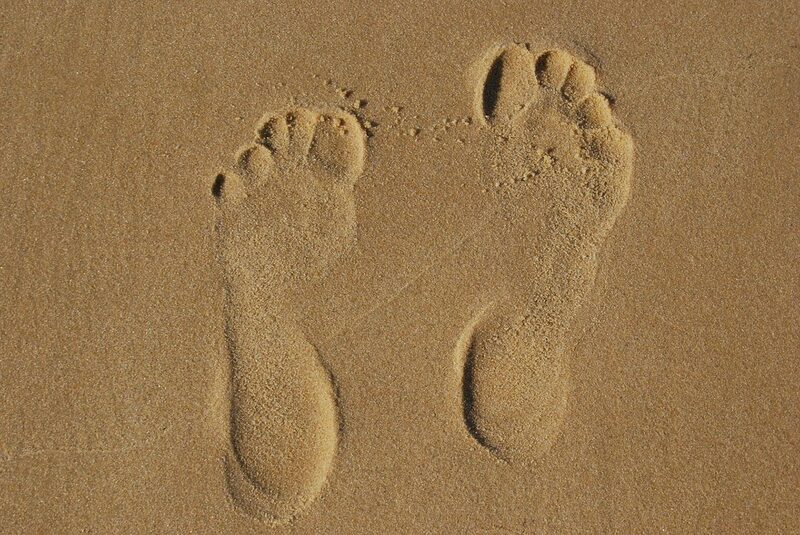 Your biggest daily dilemma is ‘which beach shall I go to today’? I mean it’s a real problem. Do you go to the beach with big waves, because your pro surfer friend wants a ride, or do you go to the place where you can get in the water without being bashed up by waves and subsequently swallowing the a quarter of the Pacific Ocean? Whatever you decide you’ll have a blast – they’re all amazing! And one of my favourite things about Byron’s beaches is that there are free BBQs – everywhere. This isn’t a rarity for Australia, but coming from somewhere where a day by the beach means wearing a hat, scarf and gloves while sitting outside a colourful beach hut and maybe having a whizz down the helter skelter, these are fantastic. There is a Woolies supermarket and an Aldi in Byron, so you’ve got plenty of places to stock up on BBQ supplies. They’re great for vegan options – once you eat a Woolworths Macro burger, you’ll never look back – trust me. Going ‘out out’ in Byron Bay isn’t all that. I mean, the Railway Tavern (known as ‘Rails’) is fun for some live music and a couple of beers, but it closes at 12 and then you’re generally between the Northern, which is hit and miss, Woodys which plays despicable music 82% of the time or the Sticky Wicket if there is anything on (about once a month). Or you could just think ‘f** it’ and spend the night at Cheeky Monkeys (seriously, who even named that club?!). OR you could wait for the legendary Byron Bay beach parties. Happening around once a month, sometimes more, they’re a ball. They aren’t really advertised – generally someone just decides one is happening and it goes from there – but if you hear a rumour of a beach party while you’re in Byron Bay – go. Ohhhh Gossips. Miss ya like a hole in the head. Byron’s where you realise that goon is actually expensive, so you start to spend many a night merry on $5 bottles of wine instead. You’ll have a rose drinking phase, and will then have an atrocious night probably involving rose coloured vomit so will start to favour white wine. Then you’ll have enough, declare yourself anti-gossip forever and start treating yourself to $7 bottles of wine. But somehow, you always end up back on gossips…. If you’re living in Byron Bay (especially in the Arts Factory campsite), you can wear shoes, but you’ll be in the minority. Shoes just aren’t a thing here. I’m sure lots of people are going to be reading this and thinking ‘bladdy hippy’, so I’ll spare the speech about how connected I feel to nature when my feet are bare. But just know that in Byron, shoes are rare and you’ll have to use tweezers to pull glass shards out of your foot at least once. Byron isn’t somewhere that you can go to and guarantee getting a job in the next week. It does happen, and it did to some of my friends, but some of us struggled. It took me a few days to get an awful job, and 6 weeks to get a decent one. It took some of my friends more or less time. If you go with enough money and are persistent with your search, you’ll find something, but just know that it is competitive. 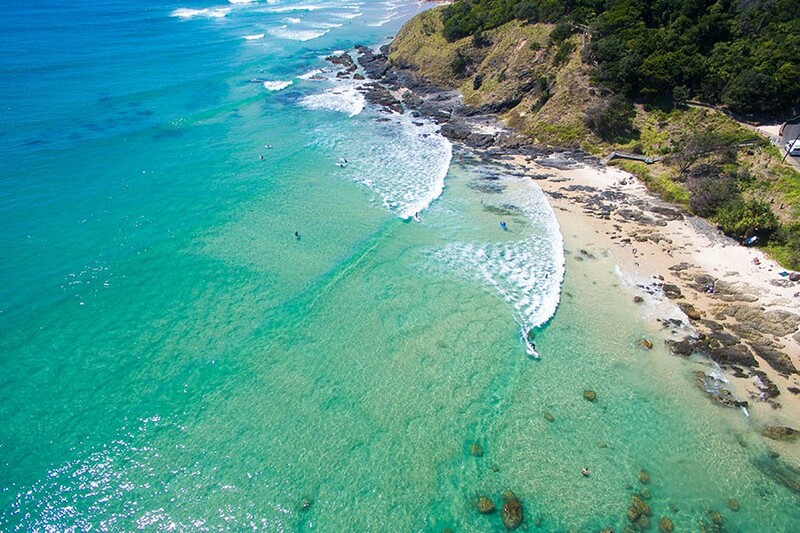 Here are some more tips for finding a job in Byron Bay! Because the world, his wife, their dog and all of their kids want to work in Byron Bay, wages are just awful. For my first job, I was (illegally) paid $13 per hour. The average is $18-19 an hour, which is minimum wage. (I mean, compared to most countries, that is still pretty good, but the cost of living in Australia is substantially higher). Yes, pay isn’t much, but where else can you finish work, go for a quick surf and try and spot some dolphins, head back and meditate in a tree sanctuary, then go back to your tent city to hang out with some of the most positive people you’ve ever met, before heading back down to the nightly drum circle as the sun sets? 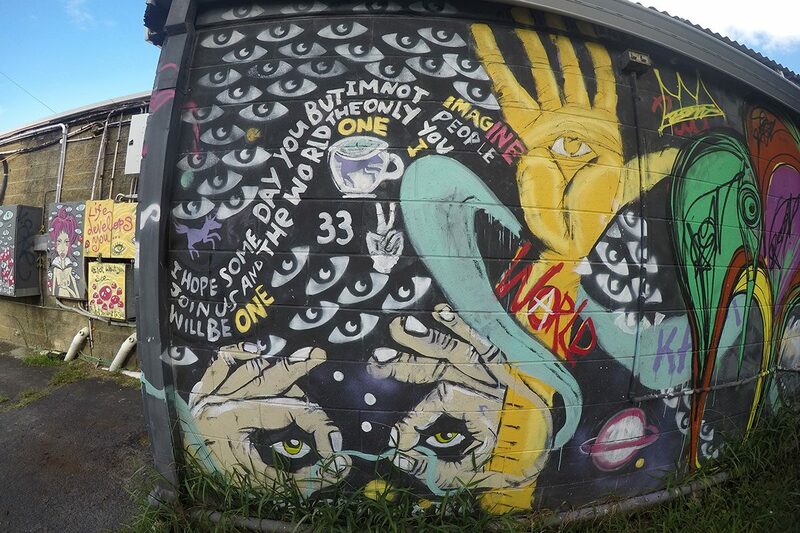 There are more important things to life than money, and Byron Bay will show you that. I actually saved quite a lot. But I also worked like crazy and going back to that work/ life balance, I kind of wish I’d life-d a little bit more. 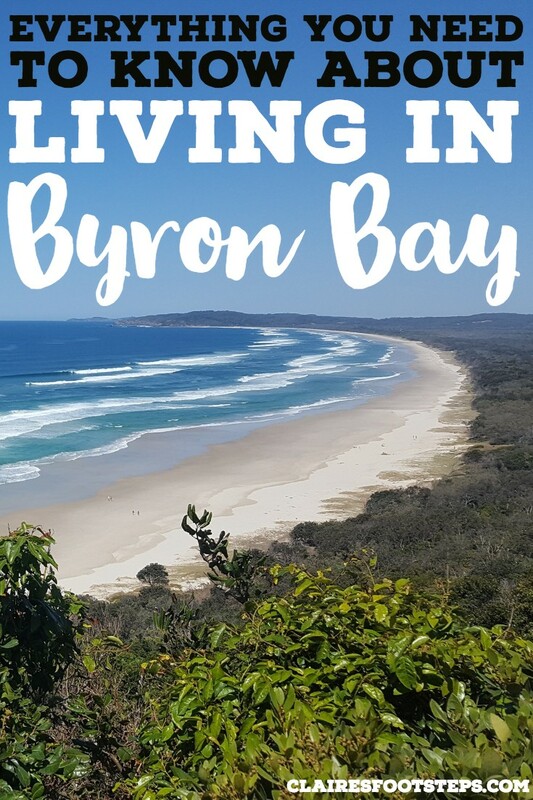 I still had the most amazing time and I don’t regret it, as the money I saved in Byron funded me to drive around the whole of Australia – but most people just worked to fund living in Byron Bay. 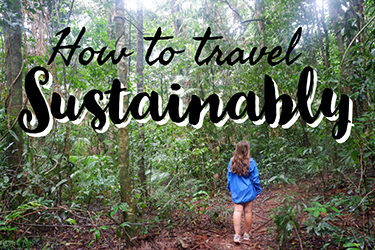 That being said, if your time there includes living in a tent, drinking gossips wine and eating reasonably cheap food from Woolies or Aldi (this is where I fall down, I can’t seem to go shopping without buying some kind of overpriced superfood), then you might be able to save for future travels! There are quite a lot of sharks off the coast of Byron Bay. I’m not sure why, but when you’re there, you don’t really think about them. Of course, it’s important to be vigilant but do remember that sharks aren’t as scary as the media makes them out to be. When I went diving in Byron Bay, I actually swam with leopard sharks who have no teeth and are super chill! There are also wobbegong sharks in the ocean, who do have teeth but generally hang out far from the shore on the bottom of the ocean bed. That being said, of course, if there are shark sightings, then it’s important to stay safe and get out of the water. 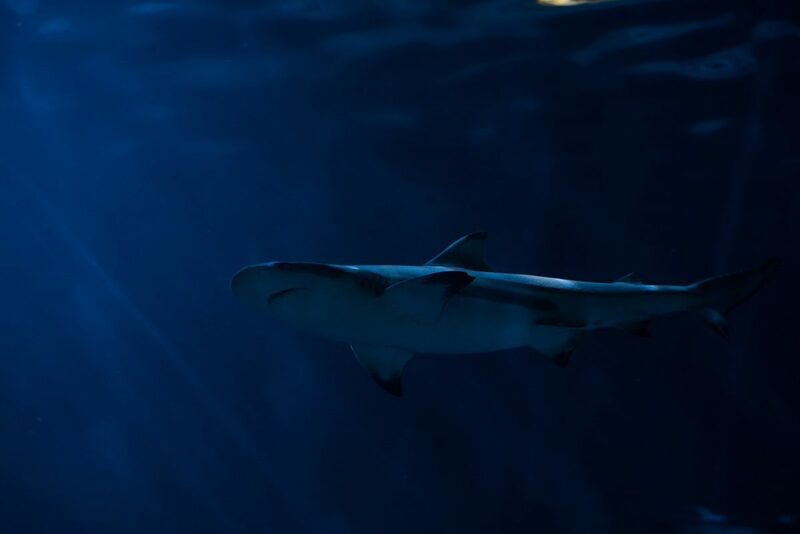 There have been shark attacks, there were a few while I was there (thankfully none were serious), so do know the risks. I don’t know whether it was when I saw a python crossing the path right in front of me, found a baby snake in the lining of my tent or encountered a tree snake in my place of work that I became fascinated by the creatures… but I did. Snake lover and proud. 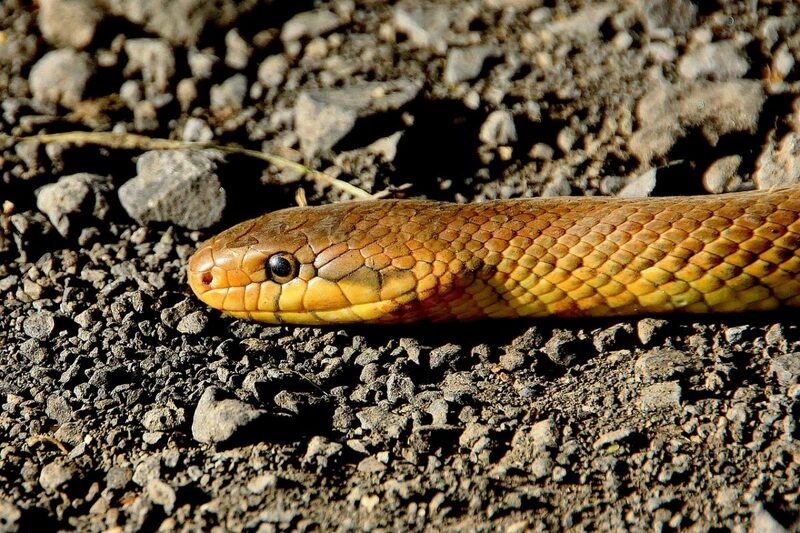 While there are a lot of poisonous snakes in Australia, none of them actually want to hurt humans – they only bite out of self-defence. Most of the snakebites in Australia happen because people try to pick them up. So don’t go doing that, and you’ll most likely be alright. There do seem to be a lot of snakes in Byron – probably because the campsite I lived on backed onto a small part of jungle – but I never had any problems with any of them. I also travelled around Australia and slept in a very ripped tent for far too long and while I saw lots of snakes (in all states except South Australia, which I’m still pretty gutted I missed! ), I never had any incidents. Snake bites obviously do happen, but they’re rare and can be avoided. Please please don’t let this scare you out of camping in Australia. 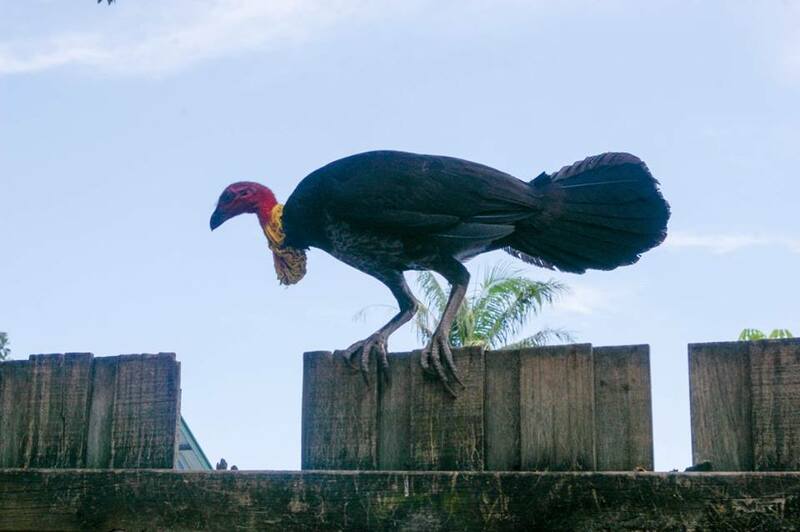 I feel like bush turkeys are undervalued. Everyone knows about kangaroos, koalas, poisonous snakes and man eating sharks (just kidding! ), but the humble bush turkey doesn’t often get a look in. They’re not dangerous to you – although if you leave your Lush bar of soap out, it won’t get a chance – but they’re extremely entertaining. Although you’ll often feel very exasperated about the fact that you turned your back for 0.01 of a second and your tasty grub suddenly became a bush turkey’s dinner, the pure innocence in their eyes will eventually warm your heart and the absolute determination they have to achieve their dreams (of nicking the food of everyone possible) will inspire you. Yep, I was inspired by bush turkeys in Byron Bay. 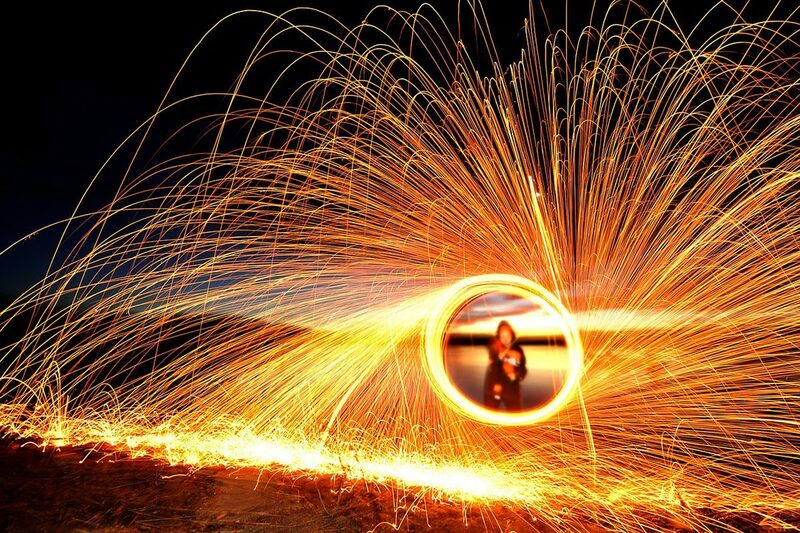 I’d never seen anyone fire spin before I got to Byron Bay – and suddenly, it was around me every night. And it’s not just fire spinning – fire poi and fire hula hooping also common in the Bay. I never tried fire spinning (I think most people I know would agree that it’s probably not a pastime that I should begin following, given my fantastic ability to drop absolutely anything I hold), but it was absolutely mesmerizing to watch. Be warned though – after so much fire spinning in Byron Bay, you’ll never get as excited about it anywhere else! I was into yoga and meditation before I got to Byron Bay – it was one of the reasons why I wanted to move there. But when I got there, a whole new world opened up to me. 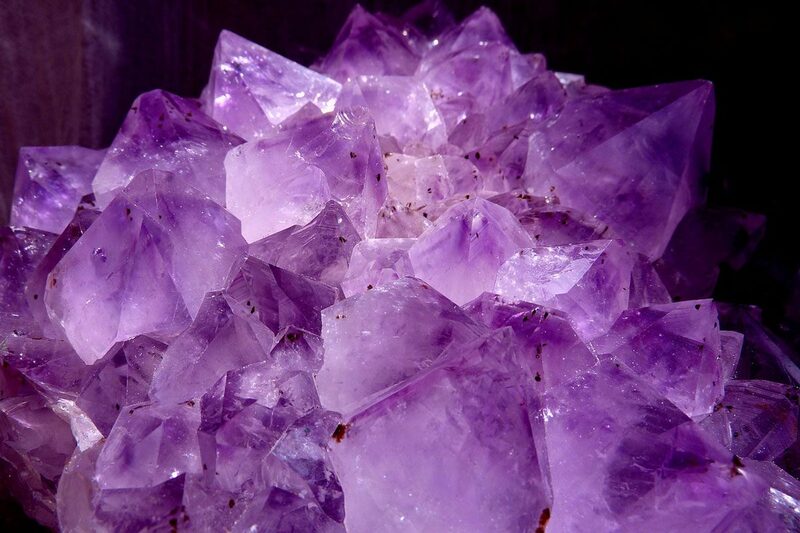 I learned about the energy of crystals, tarot cards (which I’m still pretty scared of) and natural healing with Reiki. I was kinda skeptical at first, but after a Reiki session where I felt amazing after, I wanted to learn more and more about it. All of this has helped me learn more about spirituality and positivity, helping me mold my life exactly how I want it. There’s only one place to hang out as the sun goes down in Byron Bay. The drum circle at Main Beach plays drums (could ya guess?) and brass instruments and invites people to dance or just hang out. Anyone can play – you just need an instrument. The music is always entrancing and as you watch the sunset, you’ll feel like you’re pretty close to magic. And you’ll make it once – if you’re productive. And then wonder why you’ve never been there before. 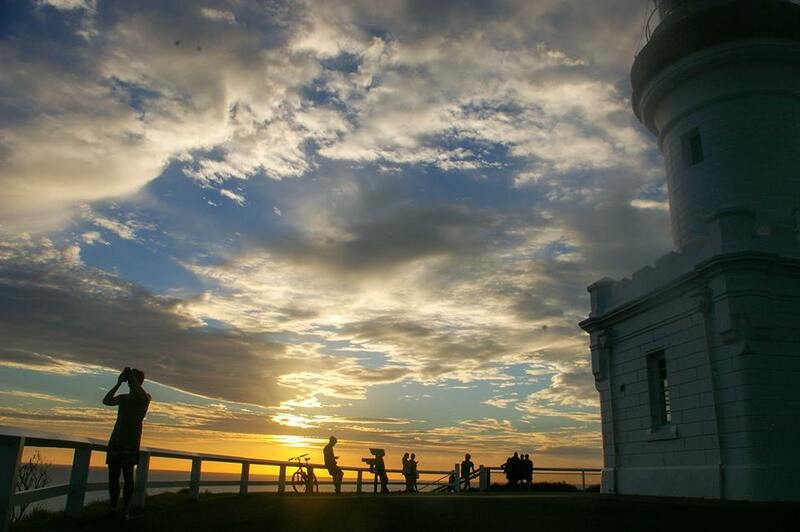 It’s a pre-5am wake up, but it’s without a doubt one of the best things to do in Byron Bay – you’ll feel like you’re the only one in the world as you watch the sun rise from over the Pacific Ocean from the most eastern point of mainland Australia. Apart from the Pacific Islands and New Zealand, it’s the first place to see the sun each day. Byron Bay is small. After a couple of months, you’ll know half the people there. If you’re walking to Woolies or Aldi – or even going to eat at one of the best (vegan) restaurants in Byron Bay – from the Arts Factory or somewhere else that’s a little further out of the centre of town, be prepared to chat to about 53 people. It takes forever to get anything done, but it’s Byron – you don’t really have anywhere to be, do you? Something happens when you live outdoors, when you get into crystals and reiki, and when you’re surrounded by beautiful positive people all of the time. Suddenly, you’re in a fantastic mood that you could not get rid of even if you tried. The weather’s pretty decent in Byron as well – it’s warm most of the year, and when it rains it’s normally a quick storm – which only adds to the positivity. And my top reason for my contagious positive mood that I had in Byron Bay was because I slept, ate, socialized and lived outdoors. It does wonders for the soul, trust me. Byron’s home to people from all walks of life. 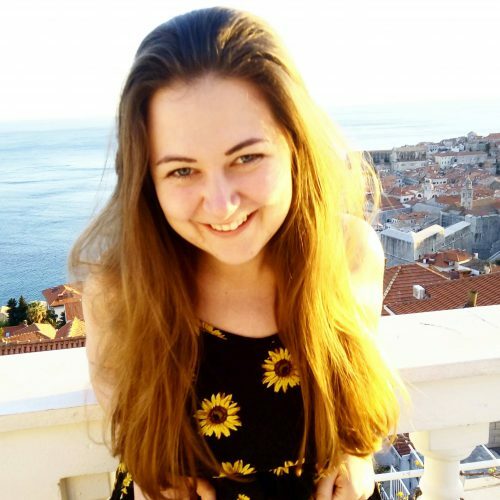 A little time here and you’ll chat to people from different countries, backgrounds and ages. And you’ll realise – if you hadn’t already – that everyone is a potential friend. You’ll learn that we are all one and nearly everyone on this planet has stories to tell and wisdom to impart. You’ll start to want to speak to everyone on the street – which is normal in Byron Bay, but a bit strange when you get to downtown Sydney ;). And I’m just one example. Everyone finds it hard to make the move and decide to leave Byron Bay. And most people come back! Ahhh this bought back memories having lived there for 2 years – the best time of my life! You’re right, it’s SO hard to leave! The only thing is add is about the snakes. Bites are not really rare but dying from a snake bite is so try not to panic if you get bitten. Also most of the snake bites I saw were farmers who’d been walking around their farm with no boots – duh! But as they only bite to scare you away, they don’t want to waste their venom so they dry bite. If you don’t shift and they still feel threatened, the next will be a proper bite. Baby snakes are actually more dangerous than adults as they are less effective at controlling this! I used to see a few bites a day when I worked about 40 mins inland of Byron (lismore) in the emergency department but only once did I see someone who actually received venom and I’m happy to say they survived to tell the tale! Of course, you were a doctor there weren’t you! 🙂 That’s good to know, I’ll add some information onto the snakes section, thanks! It looks like a beautiful place. You are lucky to have lived there. byron bay is so overrated it is one place to avoid when you live here ive been here for 20 years and all my friends avoid it like the plague once you really get to know the place .Its because your on a spiritual journey and not in reality that you have absolutely no idea what it is really like and im not going to explain it to you anyway.we all live in the shire outside of the bay because it was a good spot in the 80s and early ninetys but who cares now . Hi Toby, I’ll gladly listen to your thoughts on what Byron is really like if you’re willing to explain. I always want to learn more about things especially about anywhere in Australia. I’m reflecting on my own experiences from living in Byron Bay, and I’m sure you’ll agree that everyone’s entitled to their own opinion.